Glitter, lifting flaps and royal tea party fun – all in one sweet story. What a treat for all you mini princesses. Make friends with four royal sisters who live in a beautiful palace. We adore them – and so will you! 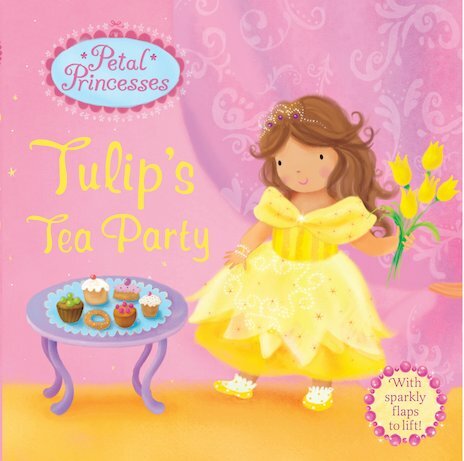 In this story, Princess Tulip is having a tea party with her sisters. That means yummy cakes, sandwiches and lots of fun. Lift up the flaps to see what tasty treats they’re sharing. There’s twinkling glitter right through the story too.